The ClipperCreek HCS-50 electric vehicle charging station (EVSE) charges all SAE J1772-compliant vehicles including both electric vehicle (EV) models like the Nissan LEAF and BMW i3 and plug-in hybrid (PHEV) models like the Chevy Volt and Ford Fusion Energi. 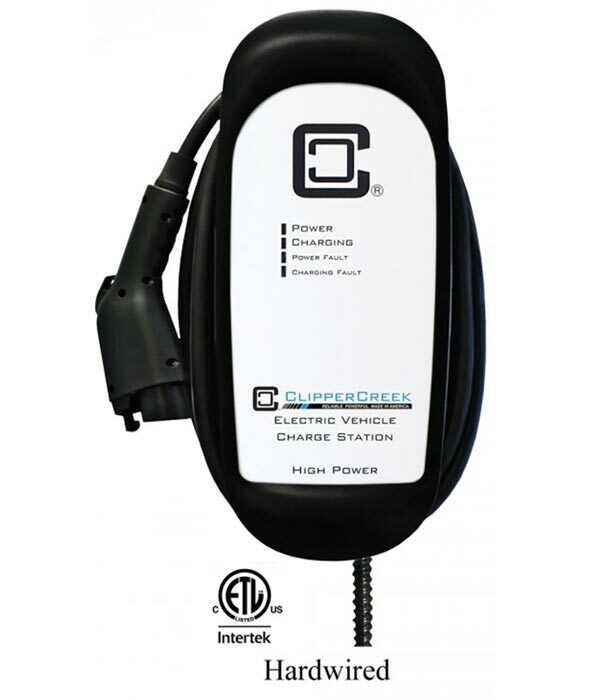 The ClipperCreek HCS-50 is one of the most powerful, uniquely designed, user-friendly EVSEs on the market. The ClipperCreek HCS-50 represents a product that’s born out of one of the few companies in the industry with a 100% focus on EV charging. This home charging station safely and reliably delivers 10kW of AC power to the vehicle’s on-board charger and features a weather-resistant NEMA 3R enclosure for both indoor and outdoor installation applications. The ClipperCreek HCS-50 is a UL Approved EV charging station that can charge your electric vehicle up to ten times faster. You can now enjoy a fast, safe, reliable and convenient charge in just a few hours while you sleep, enjoy a meal, or spend time with your family. The ClipperCreek HCS-50 can be used in the convenience of the home garage, workplace, condominium, apartment, or retail parking structure. To purchase the ClipperCreek HCS-50, request a free quote for installing a home electric car charging station and be sure to mention the ClipperCreek HCS-50 to your Smart Charge America advisor.